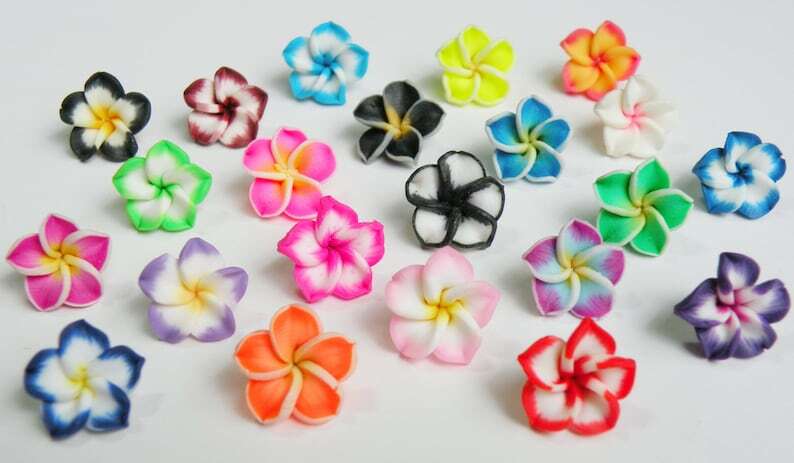 Colorful plumeria polymer clay flower beads. Drilled side to side at the base of the flower. Embellish necklaces, earrings, shoes, rings, sunglasses and so much more with these colorful flowers. Due to the handmade nature of each bead, please expect variations in size, shape, pattern, and color. You will receive a random color mix. If you prefer matching pairs, please let me know in the notes section of your order.